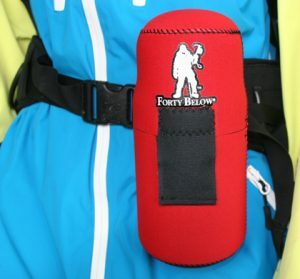 The Forty Below® Bottle Boot™ 24oz size, is a very insulating water bottle cover, to help keep water from freezing, especially in extreme cold environments. 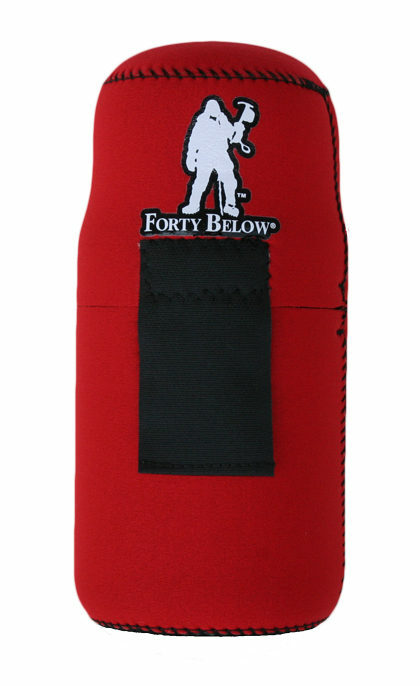 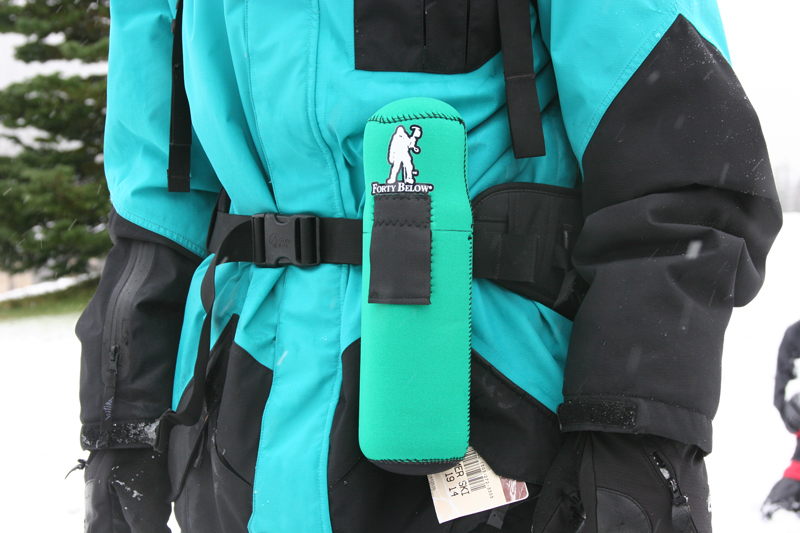 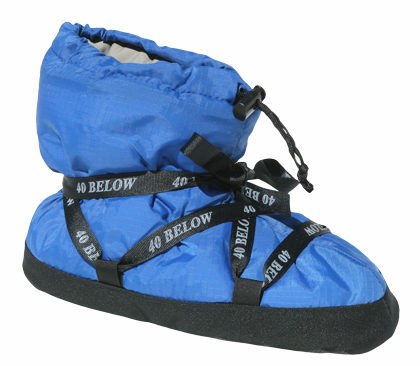 The Forty Below® Bottle Boot™ Used on expeditions worldwide for over 3 decades. 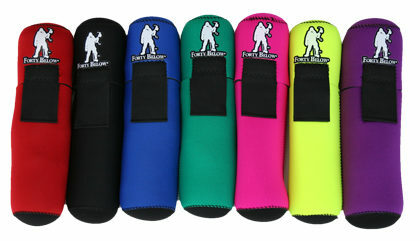 This insulated bottle cover is a unique design that enables the user to easily open with mittens or gloves, with easy access to the bottle, and no zippers to break or freeze. 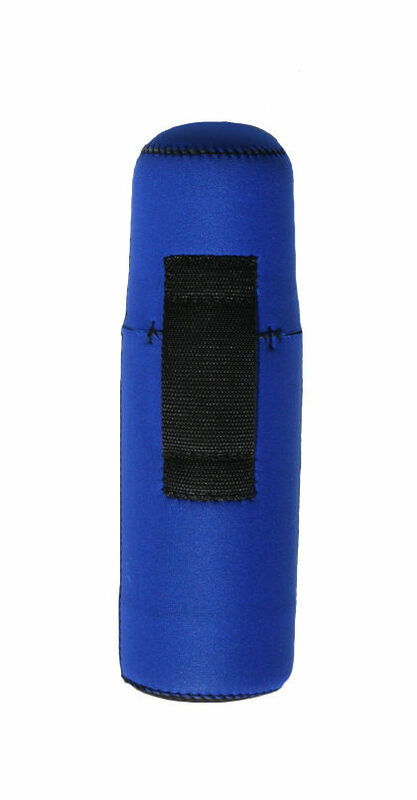 The insulation is thick, at 6.5mm completely around, on top, and bottom of the bottle for maximum coverage and insulation. 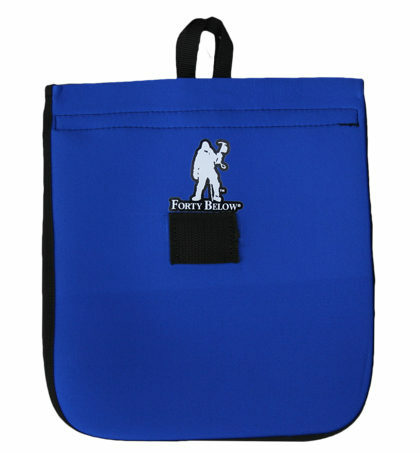 Fits most 24 oz size water bottles, such as Nalgene, Hunersdorf, etc. 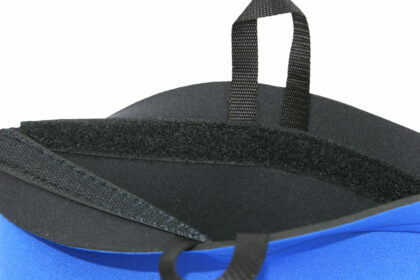 Thick 6.5mm Closed Cell Neoprene foam insulation. Insulation: 1/4″ (6.5mm) thick stretchy nylon covered closed cell foam (wetsuit type material). 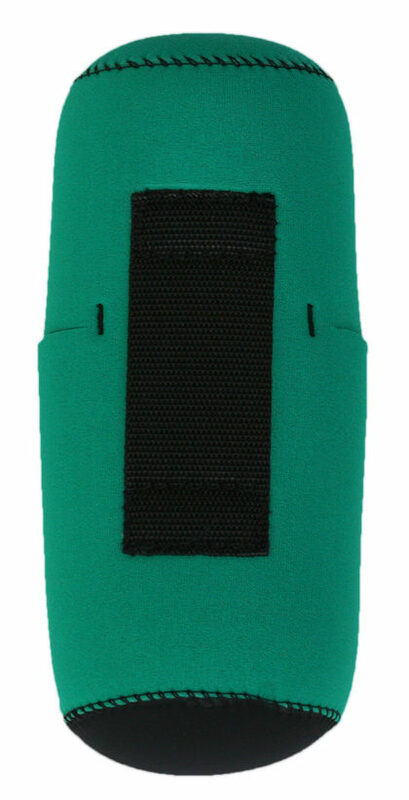 Same thickness completely around the bottle. 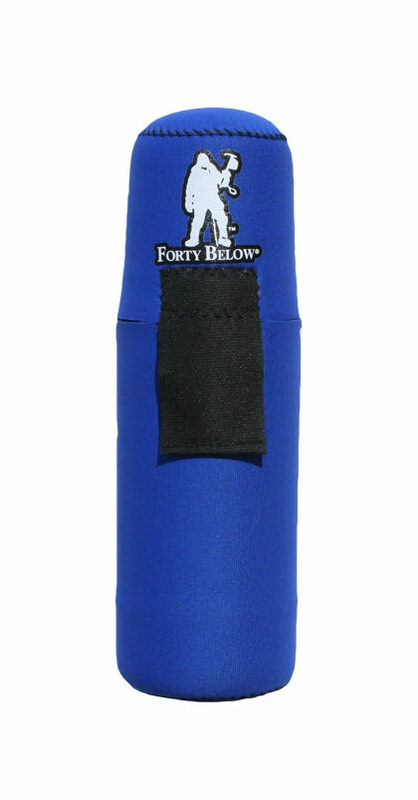 Size: Fits a wide range of bottles from 16oz vacuum to 24oz (.75L) size water bottles. 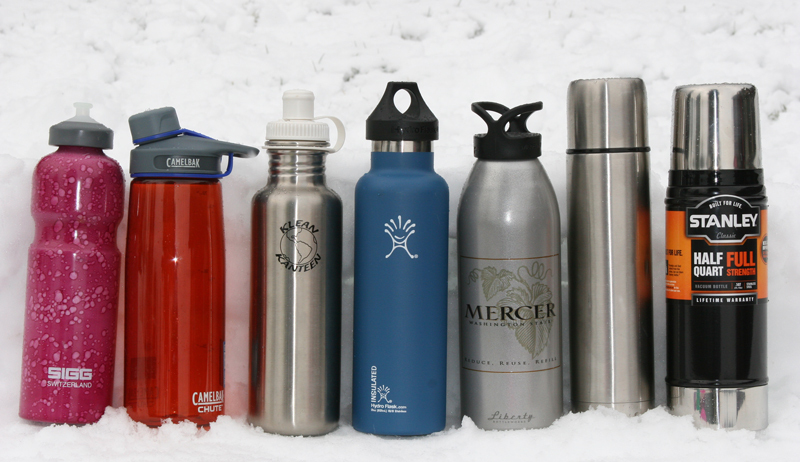 Fits: Wide range of slender bottles such as: 16oz vacuum bottles (GSI, REI , etc) , Liberty 32 oz bottle, Hydoflask 24oz Kleen Kanteen. 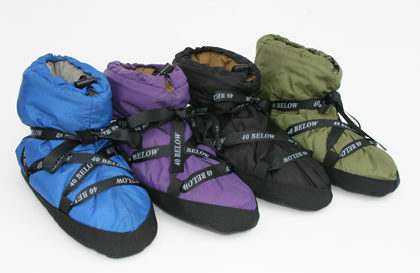 Made of stretchy materials so it can flex with different shapes of bottles.